Over the last month we’ve seen Britain’s big three political parties trip over each other as they bid to out-Farage one another in their rhetoric on immigration. The Tories, as you might expect, took the hardest line and announced measures to curb benefits to immigrants. The Labour Party, still bearing the scars from losing the last general election, mounted a broadside against their own failure in government to curb immigration. And the Lib Dems swung away from their traditionally ‘liberal’ policy on immigration by abandoning support for an amnesty for illegal immigrants and laying out plans for a £1,000 bond for those visiting from “high-risk” countries. But it isn’t just Nigel Farage and his increasingly wacky UKIP friends who hold such sway over the main three parties. They’re also terrified of opinion polls. The truth is that British people are far more afraid of immigration than our European neighbours. Oxford University’s Migration Observatory shows that the level of people saying immigration has gone ‘too far’ has hovered around 60% since the late 1980s. What politicians from the big three parties seemingly fail to grasp is the role that they play in fanning the flames of immigrant bashing in the right wing press. Their role in this is twofold: Firstly they persistently reinforce the ‘fact’ that immigrants are a drain on services and a threat to society and then they fail to deal with the underlying causes for people’s concern. And those causes of concern are very real: There is a chronic lack of truly affordable housing in the UK. Many people wait for years on social housing waiting lists, others are forced onto the rental market. But, according to David Aaronovitch of The Times, only 11 per cent of new migrants have been allocated social housing, compared with 17 per cent of UK-born residents living in this sector. With nine out of ten new migrants not moving into social housing governments can’t seriously blame immigration for our housing crisis. Of course people are worried about their jobs. Despite the recession not yet hitting the jobs market as hard as expected we still have over 2.5 million people unemployed in the UK and one in five young people out of work. But this isn’t because all of the jobs are going to immigrants. In fact the Office for National Statistics note that just one in ten new jobs goes to a migrant. To their credit the Labour Party has spoken about the downward pressure that immigration can have on wages. They are absolutely right to call for much tougher enforcement of minimum wages and they were absolutely wrong not to clamp down on this when they were in government. With the Tories freezing some benefits, forcing people from their homes with the bedroom tax and consistently bashing those relying on social security it’s no wonder that there are concerns about non-UK citizens abusing the remnants of the welfare system this Government is so intent on dismantling. But blaming immigrants for sponging of the state belies the fact that they are less than half as likely to claim working age benefits as those born in the UK. Despite the fact that less then two in ten people believe immigrants cause a problem in their neighbourhood and that the myths around immigration fail to stack up when confronted with the evidence, almost two thirds of us think that there are too many immigrants in the UK. The more politicians in lay the blame on immigration – and they’re supported in this by an immigrant-phobic media – the more people will believe what they say. A cosy consensus has formed in Westminster. It’s one which sees politicians so drenched in opinion poll data and so focussed on a fear of losing votes to UKIP that they forget their own principles. It sees all three main parties using immigration as a scapegoat for the problems in society which recent governments have either created or failed to fix. This country is indeed facing a crisis, but it’s not an immigration crisis. The vast majority of people living here, whether they were born in the UK or elsewhere, are paying the price for a crisis which they had no part in causing. Wages are stagnating, benefits are being cut and enough houses aren’t being built. It’s time to pull the wool from our eyes and refocus our anger on the financial system which caused the crisis and the cuts consensus in Westminster that is only making things worse. The House of Commons Committee of Public Accounts report, published today, concludes that the introduction of direct payments of housing benefit to tenants living in social housing could lead to an increase in rent arrears that would leave social landlords with less money to build new homes. “There is a risk that the introduction of direct payments of housing benefit to tenants living in social housing could lead to an increase in rent arrears and evictions,” the report says. It adds that an increase in arrears could “reduce the funds available for social landlords to maintain existing homes and invest in new homes”. The report says that the committee had been told by housing association L&Q that it had doubled its provision for bad debts from 3.5 per cent to 7 per cent in preparation for a possible increase in arrears, and that the association now expects to reduce the number of homes it can build annually by 80 to 920. The government announced measures in the Emergency Budget of June 2010 and the Spending Review of October 2010 aimed at altering the housing benefit system to reduce annual expenditure. The changes included reductions in the rates paid for private rented sector housing and deductions in payments to social sector tenants in under-occupied homes. Under-occupied homes are defined as homes in which there is more than one bedroom for each person or couple living as part of the household, with children under the age of 15 being expected to share with one other child of the same gender, and children under the age of 9 being expected to share with one other child aged nine or under, regardless of gender. The alterations bring under-occupation rules for social sector claimants in line with the rules for private rented sector claimants. The MPs’ report said that the Department for Work and Pensions was introducing the changes “without comprehensive modelling of the likely outcome on individuals or on housing supply”. It added: “The changes to housing benefit could have an adverse impact on levels of homelessness. Social landlords told us that they expected evictions to rise because some households would not make the behavioural changes needed to respond to housing benefit reforms. National Housing Federation chief executive David Orr said: “That the Government is bringing in these housing benefit changes without knowing the full consequence on the vulnerable people affected is worrying and irresponsible. RESPONDING TO THE BUDGET ANNOUNCEMENT, GREEN MP CAROLINE LUCAS (BRIGHTON PAVILION) SAID: “Amidst the tax breaks for shale gas and boastful roadbuilding pledges, there is one huge green economy-shaped hole in this flailing Chancellor’s Budget. “With the UK’s green economy now worth over £120bn – 9% of GDP – providing nearly a million jobs and generating a third of our most recent economic growth according to the CBI, it is completely inexplicable that George Osborne keeps pretending it doesn’t exist. “Given the huge potential of green industries and clean energy generation to provide British jobs and prosperity, as well as the obvious environmental benefits they will deliver, it’s time to drop austerity and go for Plan G.
LUCAS CONTINUED: “This should also mean the Chancellor ditching his irrational obsession with gas. It’s outrageous that the Government is willing to gift yet more tax breaks to companies drilling for hard-to-reach shale – a costly gamble that risks keeping the UK addicted to polluting fossil fuels at precisely the time we should be leaving them in the ground. “A Government which really cared about bringing energy bills under control and improving energy security would put its money on renewables – where the costs are predictable and falling – and agree to recycle carbon tax revenue into a jobs-rich energy efficiency programme, rather than deepening our dependence on gas, where prices are set to keep rising. “Going all-out for offshore wind, for example, instead would save £20bn by 2030, create 70,000 more jobs, and lead to both lower climate emissions and lower fuel bills. “And with the new nuclear facility at Hinkley announced yesterday expected to come with a £14bn price tag, this Government should urgently think again before ploughing ahead with its deeply misguided nuclear strategy. 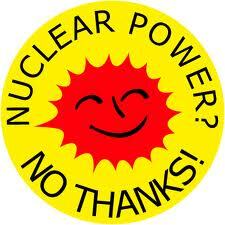 For the cost of one nuclear reactor, it’s estimated that 7 million households could be lifted out of fuel poverty. “With the Joseph Rowntree Foundation warning that tax rises, welfare cuts, and wages freezes will push over 7 million children below the breadline in the next two years, it’s scandalous that this millionaire Government is still so reluctant to make the richest in our society pay their fair share of tax. “While millions across the country struggle to pay rising household bills, the Government is cutting tax for corporations like Amazon, Starbucks and Google – when they choose to pay it at all – to 25% next month, 23% by 2014 then 20% the year after. “The General Anti Avoidance Rule announced today will not be enough to stop the tax dodgers, as the tax QCs Graham Aaronson who worked it up has admitted it will be “narrowly focused”, and apply only to the “most egregious tax avoidance schemes”. “If the Government was really serious about cracking down on tax avoidance and evasion, including shutting down tax havens, it would have supported my Private Members Bill requiring all companies to publish what they earn. Labour today welcomed the Government’s decision to give the go-ahead for the first of a planned new generation of nuclear power plants in the UK. Energy Secretary Ed Davey said the proposed 3,260 megawatt nuclear power station at Hinkley Point in Somerset would be built by French company EDF. The decision also means EDF will be allowed to build rail and road networks to support the power station, as well as issue compulsory purchase orders on land needed for the project. The news is a boost to the nuclear industry following a series of setbacks in plans to construct a new generation of reactors in the UK, which ministers say are needed to cut carbon and keep the lights on. Shadow energy secretary Caroline Flint said she welcomed the decision. She said: “Today’s announcement is an important milestone in the development of new nuclear build in the UK. There is no doubt about that. In his statement to the House of Commons, Mr Davey said the project would play an important role in ensuring a diverse supply of energy in the UK. He said: “Affordable new nuclear will play a critical role and secure a diverse electricity supply for Britain and make a significant contribution to the transition to the low-carbon economy needed to tackle climate change. Mr Davey said the project would create a workforce of up to 5,600 during construction, and contract opportunities in the supply chain. There would also be a new by-pass road as well as a community package to compensate to people living in the area, he said. Mr Davey told MPs: “I also recognise that as these works are carried out, those who live in the area may have their daily lives disrupted one way or another. The new plant’s two nuclear reactors would be capable of producing 7% of the UK’s electricity, enough to power five million homes, EDF has said. It is thought the costs of the new power station would run to around £14 billion. A final investment decision by EDF to go ahead with construction still depends on the deal being negotiated with the Government on the “strike” price paid for electricity generated by the plant. Under electricity market reforms, low-carbon power such as nuclear reactors and offshore wind farms will have long-term contracts with a guaranteed price for their electricity, to give investors certainty to invest in projects with high capital costs. Mr Davey said discussions on the strike price were ongoing, but he expected them to be concluded shortly. Conservative Ian Liddell-Grainger (Bridgwater and West Somerset) declared it a “very good day for Britain” and a “phenomenally good day” for his constituency. 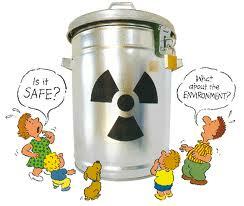 The decision, he said, meant the UK could “kick-start the civil nuclear programme”. 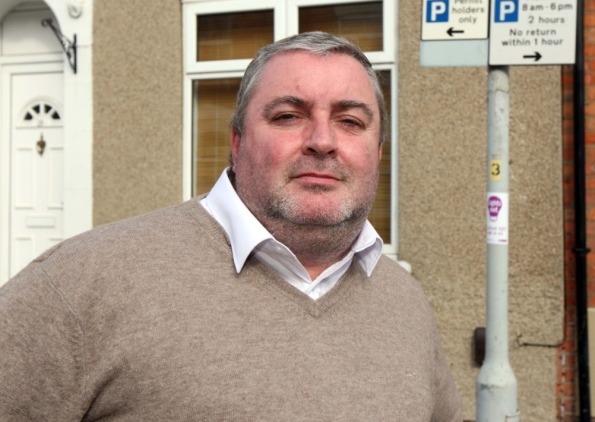 Labour’s Paul Flynn (Newport West) raised concerns about the long-term costs to taxpayers of the project. He said: “Does the minister agree with himself as the Lib Dem spokesman when he said that nuclear power is only possible with a vast – his word – taxpayer subsidy or a rigged market? Does he agree with himself as a supporter of the Coalition Agreement that said there would be no subsidy on nuclear power? Mr Davey said his concerns on nuclear power had related to price, acknowledging that the history of nuclear power showed it “has turned out to be expensive”. But he raised the issue of transmission from Hinkley through 450 kV cables, as opposed to the current 132, saying it would require electricity pylons more than twice the height of current ones. Mr Davey replied he previously undertook to look into this issue during a meeting with Dr Fox. Mr Davey said the decision today was purely about planning, but he said he did not recognise the figures. He paid tribute to officials in helping to bring a “nuclear renaissance in the UK one big step closer”. 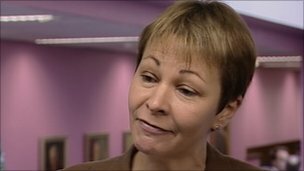 Green MP Dr Caroline Lucas (Brighton, Pavilion) warned of the potential repercussions on energy prices. She added: “The only two nuclear power stations under construction in Europe today are billions of pounds over budget and delayed by an ever increasing number of years. Italy, Switzerland, Belgium, Holland, Spain, Germany, Sweden, Denmark are all rejecting new nuclear, even France is aiming to reduce its reliance by 25%. Around the world he argued there were many countries who were looking again at new nuclear. Some insecticide products have been increasingly implicated in the decline of honeybees over the past decade, and there is serious concern that they pose unacceptable risk to wild bees and pollinators. The Food and Agriculture Organization of the United Nations estimates that of the 100 crop species that provide 90% of food worldwide, 71 are pollinated by bees. Today, the Wales Green Party wrote a strongly worded letter on behalf of petitioners and bee-keepers to David Jones MP, Secretary of State for Wales asking that he urgently carries out his duty under provision of the 1980 Bees Act to protect bees, as well as ensure the UK does not fall foul of European law. 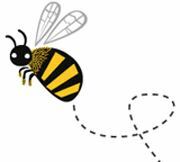 Pippa Bartolotti said, “There are more than 40,000 concerned people who urgently need to know what the position of the Secretary of State is on this matter, for the sake of bees and other pollinators, Ministers should have no qualms in making bee survival their top priority. We do not understand why the Minister is dragging his feet. Research at the University of Sterling found that colonies of Buff-tailed bumblebees exposed to the neonicotinoid Imidacloprid, produced 85% fewer queens than control colonies. The success and survival of new bumblebee queens is essential to ensure the viability of future bumblebee populations. Pesticide risk assessment requires tests on very few species including the honey bee, which are meant to be representative for invertebrates as a whole. Neonicotinoids are systemic insecticides that permeate the whole plant, and residues of some neonicointoids may remain in the soil for at least 2 years. Last year, EFSA, the European Food Standards Agency, had identified significant flaws in regulatory risk assessment guidelines for testing pesticides on honey bees, and highlighted a need for consideration of wild bees within the regulatory system. Upon further investigation of three neonicotinoids, EFSA scientists identified areas of high risk to bees from flowering crops, as well as a number of data gaps that would have to be filled to allow further evaluation of the potential risks to bees from clothianidin, imidacloprid and thiamethoxam. On Thursday 21st February, Pippa Bartolotti, Leader of the Wales Green Party handed in a petition of 40,440 signatures to John Griffiths, Minister for Environment and Sustainable Development, asking him to outlaw the use and sale of neonicotinoid insecticides in Wales. Caroline Lucas, MP for Brighton Pavilion, led the Opposition Day debate on the Government’s bedroom tax policy in February together with MPs from Plaid Cymru and SNP. “The eleventh hour decision to exempt foster carers and families with children in the armed forces from the new bedroom tax is a huge win for social justice – and a clear sign that the Government is beginning to recognise just how flawed and unfair this policy is. “However, ministers should now go further and exempt disabled people too in order to protect the most vulnerable from losing their homes to this cruel and counterproductive measure. Although he lost his seat on the borough, he remains a county councillor for Castle ward until the elections for the authority are held on May 2. Writing on his blog today, 49-year-old Mr Clarke said: “In communities like the one I represent in Castle Ward, austerity and hard times are unfortunately no strangers, and we are better prepared than most to deal with the consequences of recession. “We are people more likely to be sociable to our neighbours, more protective of the vulnerable, more likely to step in rather than stand aside when the time comes for us to act. Studies find that despite having the least, communities like ours are where you are most likely to find people more social, face to face, more likely to lend a few bob to an acquaintance outside of our family, more willing to befriend others rather than retreat into our own homes. “From my vantage point as a councillor and MP representing the people of Castle Ward at all levels, I have learnt that true power, true control, can only ever come from within, and I am fed up of fighting against politico’s for votes rather than fighting alongside the community for real change. “I left the Labour Party, and then discovered that really it had left me, I have battled on as an Independent to try to make a difference for local people and have had some successes, but now it is time to truly give the power back to the people. I have now joined the Green Party as a statement of my commitment to them, they in return have acknowledged my long standing political independence and agreed that we should now both campaign together locally under an “INDEPENDENT GREEN’ banner. The above video displays only one of the outcomes of the bedroom tax. People with two or more homes are stating that children with disabilities must share bedrooms with other siblings or their families will have benefit cuts. This effects the safety and health of any disabled child, their siblings and their family. It is also economically unworkable, the cost of moving families with disabled children and re-equipping homes with the most basic tools to allow even the minimum safety and mobility would be far greater than any saving made. Single parents, recently bereaved families and those with children away at university are also targeted in these cuts. Green Party conference has called on the government to strongly regulate payday loans, which it called “modern day loan sharking”. Since 2008, the number and size of companies charging eye-watering levels of interest has exploded, with more and more individuals with poor credit scores taking out such loans. Every year 1.2 million Britons turn to payday loans and £1.2 billion is borrowed, often at around 2500% interest a year. Citizens Advice is reporting that 10% of the people coming to it with debt problems now have payday loans*. The Green Party is calling for the capping of short-term loan rates at reasonable levels linked to the Bank of England interest rate, and demanded that companies make sufficient credit checks, with the threat of severe penalties if they fail to comply. Camden Green Party member Benali Hamdache, the motion`s proposer: said “The ethics and practices of payday loan companies are of grave concern. “They are preying on people with poor credit ratings and precarious financial situations. You are currently browsing the The Northants Green Party Blog blog archives for March, 2013.